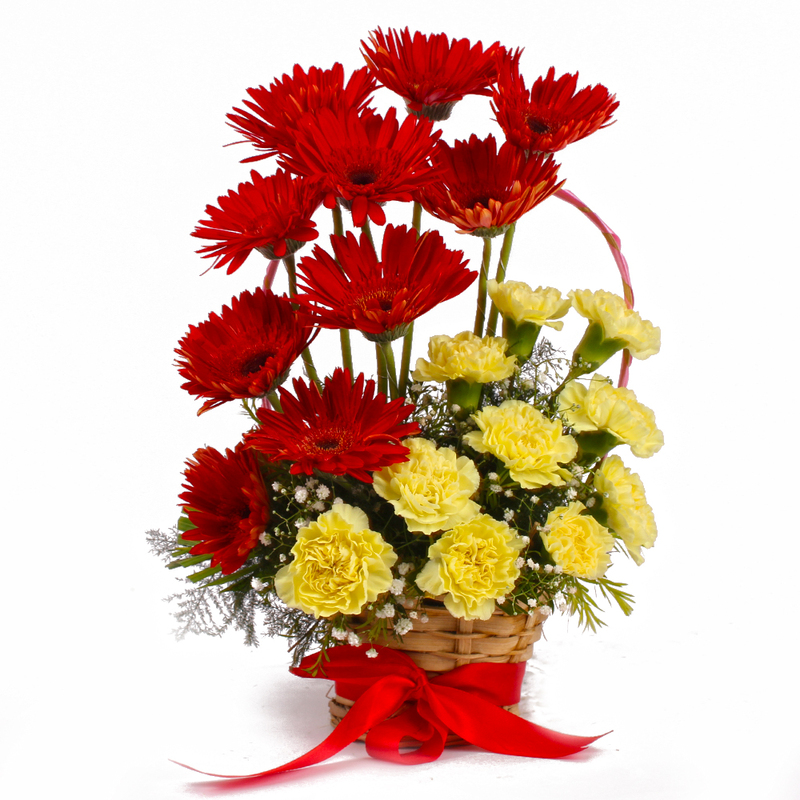 Product Consist : Basket of 10 Yellow Carnations with 10 Red Gerberas. 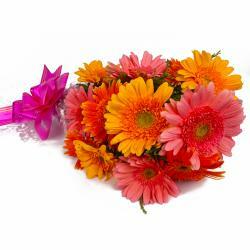 Congratulate the newlywed couple with this beautiful arrangement of gerberas and carnations to deliver their blessings. The basket is decorated with green decorative leaves looks amazing. 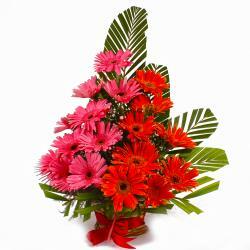 Each gerbera and carnation is specially selected and decorated in the basket to deliver you message to them. 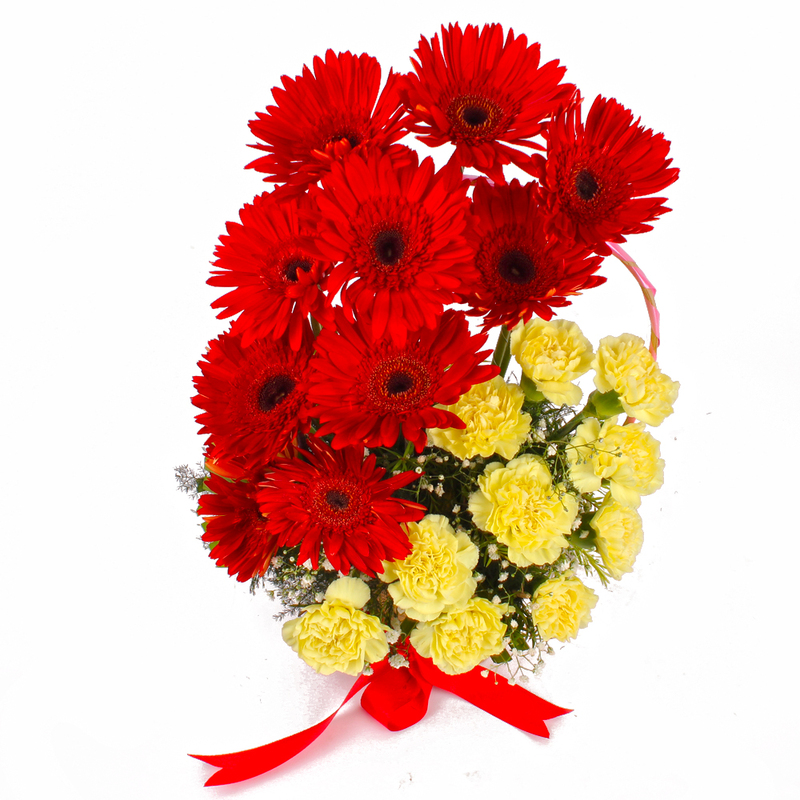 The red gerberas are fresh and moist yellow carnations will spread its aroma and will make the environment go more angelic. 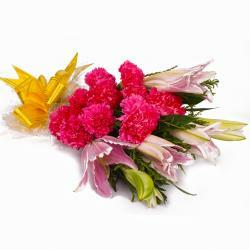 You can send these flowers to India on special occasion like Birthday, Anniversary, Housewarming, Baby Shower, Baisakhi, Republic Day It will deliver smiles along with blessings. 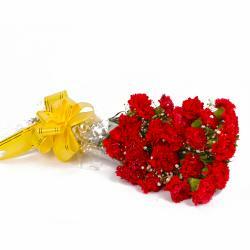 Product contains : Basket of 10 Yellow Carnations with 10 Red Gerberas.